In today’s enterprise, the need to be available is critical. If customers can’t reach you, they will go somewhere else. 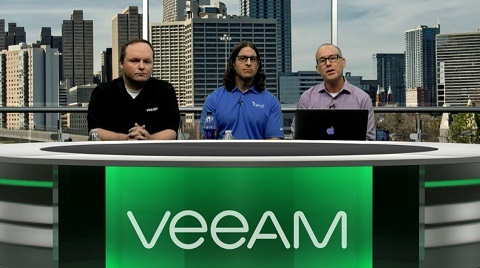 Veeam® Backup & Replication™ is the industry leader in protecting data. In combination with a comprehensive cloud strategy, customers can meet their business continuity and DR objectives. iland is a global cloud service provider of secure and compliant hosting for infrastructure (IaaS), disaster recovery (DRaaS) and backup as a service (BaaS) powered by Veeam. Leveraging iland, customers can achieve off-site air gapped backups meeting the 3-2-1 rule and implement a full DR solution that can be brought online and managed in an intuitive console.